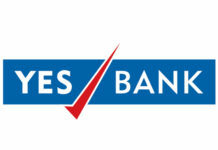 Private lender YES BANK in association with Puducherry Smart City launched a prepaid card. The prepaid card is a RUPAY card and it will enable the residents as well as travellers to opt for cashless transactions. The card was launched by Chief Minister of Puducherry, V Narayanasamy. The motive behind the launch of the card is to boost Digital Payments ecosystem in Puducherry and aid the Digital India initiatives of Government of India. As a part of the project, the lender has digitised payments for Government to Citizen (G2C) services as well as for retail payments. Citizens residing in Puducherry, as well as the tourists traveling to city, will be able to make instant payments via an open loop prepaid card, exclusively designed keeping their payment needs in mind. The card offers a variety of services ranging from day-to-day payments at PTDC authorised outlets, like Le Café at Puducherry Beach, Sea Gulls Bar and Restaurants, Transactions at Chunnambar Boat House, ticket purchases at historical sites etc. in addition to payments for PTDC Tourist cabs, Prepaid Taxi services at Puducherry airport, online booking of tickets among other services. “We are pleased to partner with Puducherry Tourism Development Corporation to augment delivery of retail services and fast-track merchant payments through digital payment solutions and offer the enhanced convenience of financial transactions to citizens of Puducherry Smart City. 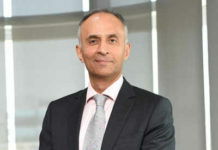 With this partnership, we re-affirm our commitment to the Government’s initiative of propelling digital payments in India,” said Ritesh Pai, Chief Digital Officer at YES BANK. “Puducherry – the perfect mélange of French culture attracts tourists within and outside our country. My government has taken a lot of initiatives and making this beautiful and peaceful Union Territory, a perfect place for week-long tourist destination. The introduction of prepaid card for the cashless transaction by the PTDC with the partnership of YES BANK will be the first step for the cashless transaction to every citizen of Puducherry and the Tourist visiting Puducherry. 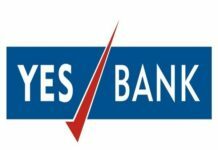 I wish YES Bank to be a sustainable vehicle for this digital payments and spread this activity to all corners of this SMART CITY along with Puducherry Tourism Development Corporation and allied sectors”, said V Narayanasamy, Chief Minister of Puducherry. “We, PTDC being a company incorporated under the Companies Act 1956, have taken all steps for its sustainable management. Hassle free transaction and fearless travel is the basic requirement to the tourists and require safe destinations for their pleasant stay, Peaceful Puducherry is the best choice for them and this RUPAY prepaid card is a boon to them and can avail the best service from us and our co-partner, YES BANK on whom we rely upon this project. The corporation is keen on spreading this net to all sectors in Puducherry, to all citizens also for a safe cashless transaction,” said MNR BALAN, MLA, Chairman, Puducherry Tourism Development Corporation.